I receive many emails and messages (which I love, so keep em' coming!) 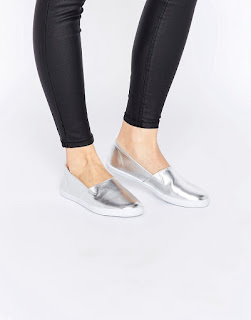 of 'help I need to turn my tiny laundry into a glorious, organised space' or 'help I need some casual shoes to do the school run' or my favourite 'Please help me Allison! My daughter has finally moved out and I want to turn her bedroom into a hideaway just for me, while the football season’s on'. Ha. We all know that feeling too well... don't we?!! You get my drift, anyway. So I’m launching Ask Allison Anything. This is where YOU can ask me where to buy a particular item of clothing/shoes, what recipe I use for cupcakes, or about organisational stuff for your life, home, party or anything really! So here goes my first one…. A: Well Caroline D. I sure do love my slip on sneakers for the pre-school run (which always turns in to a park date when the weather is good). Here are a few cheap options which will hopefully be a bit better on the hip pocket for you! Honestly ladies these Pacific Plimsole Shoes from Rubi Shoes are THE BOMB!! I own them in a cream/navy spot, a navy and white spot and a metallic version. My collection keeps growing as these bring out fabulous new colours and prints just like these silver/white striped pair. Cons are the quintessential go with everything shoe. But if you cannot be bothered with the usual laced pair, then their ballet flat version is for you (and me!). Now these aren't the most budget option, but at $80 from The Iconic, they are also a wee bit cheaper than the regular Cons! I LOVE a metallic pair of flats - they are so neutral and work with so many different fabrics and colours in your wardrobe. They also feel a little dressier too! 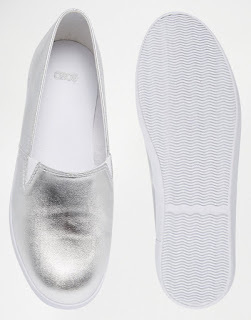 These Dede slip on sneakers from ASOS are an absolute steal at only $33 (free shipping too!). The bonus with metallic is that they repel the mud if you find yourself at the footy oval or park this time of year. Honestly I was sold as soon as I saw they were Rose Gold! They do also come in a range of other colours too if you prefer a more classic white, back or denim. Currently on promo for only $20!! But the RRP is usually $29.95 which is still pretty darn cheap. Please keep the emails, requests for help or just your ideas for the blog, coming to utterlyorganised@gmail.com or comment below or on my Facebook page. Aldi Wooden Toys are COMING!!!!! A look at our Playroom!